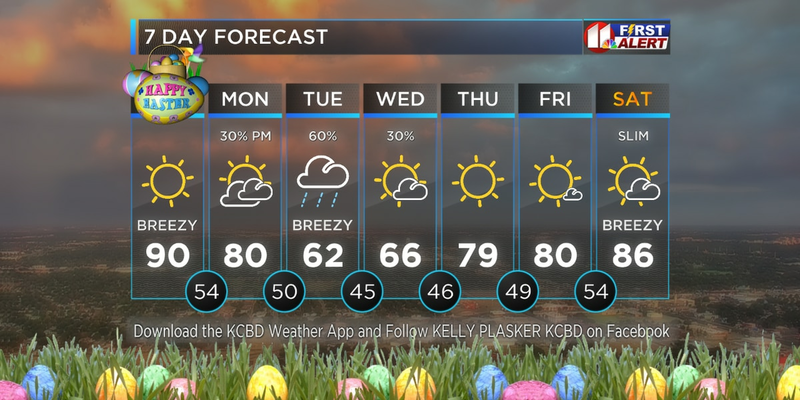 LUBBOCK, TX (KCBD) - This is the final full day of Winter, but Spring is jumping in early. Today will be mostly sunny, somewhat breezy, and a little warmer than yesterday. A slight chance of light rain will develop over the far northern KCBD viewing area late today and continue into Wednesday morning. I do have an update on our late-week rain chance. I now expect the weather system which will initiate the rain, and perhaps thunderstorms, to arrive a little later than earlier projections. Currently, the system is still well-off the coast of California. 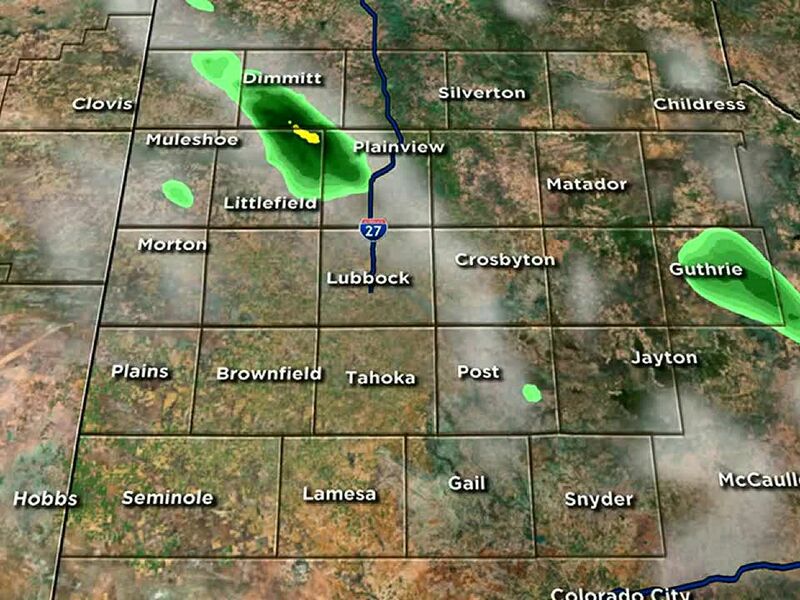 This will translate into a later start to rain here in West Texas and across the state line in New Mexico. Most of the viewing area will remain dry Thursday and Thursday night, with the possible exception of our western communities where a slight chance of rain will exist. Expect a mostly cloudy sky Thursday with a slight breeze and a cool afternoon. Even with a delay, rain showers and a few thunderstorms are likely Friday, Friday night, and Saturday morning. Any threat of severe storms appears very low, based on data available now. As I mentioned yesterday, severe should be considered a possibility with thunderstorms this time of year (and most times). Leading up to Friday watch for forecast updates and come Friday keep up with the latest weather conditions. Showers and possibly thunderstorms are expected to linger into at least Saturday morning, and perhaps through the afternoon over the eastern viewing area. Here’s a chance to win $1,000, and one of dozens of rain gauges we’re giving away! 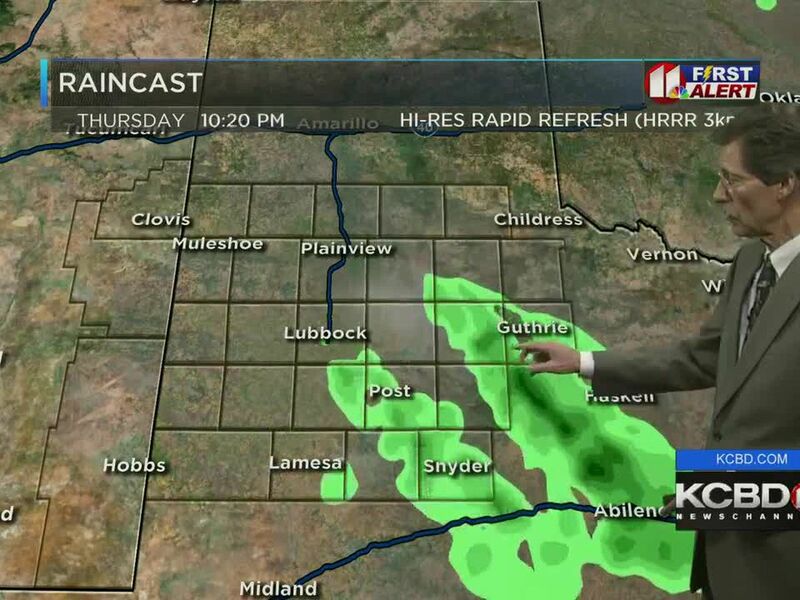 The $1K prize* will go to the person who submits the guess nearest the total amount of rain observed at Lubbock Preston Smith Airport from March 19 through July 1. The name of everyone who enters also will be entered in our daily random-drawing to win a “John said it would” rain gauge. Check out the contest rules and details, as well as submit your guess, at kcbd.com/rain. The deadline for entry is May 30th. Don’t Delay! Lubbock’s low yesterday was 35°, two degrees below the average for the date. The high was 64°, three degrees below the average. The March 18 record low is 11° (1923) and the record high 88° (1916). For today, March 19, Lubbock’s average low is 38° and the high 68°. The record low is 11° (1923) and the record high 89° (2017). Today's sunset in Lubbock will be at 7:58 PM CDT and tomorrow's sunrise at 7:51 AM CDT. *The grand prize of $1,000 will be awarded on a VISA gift card from Hartman Roofing.